Ace reporter and newest Center of Excellence fellow Sam Fellman last week blew the lid off of the burgeoning gourmet coffee dependence among thousands of carrier crew members. The story, posted on the Navy Times website, exposed that carriers throughout the fleet were training SHs to run espresso machines, opening gourmet coffee shops and offering the highly addictive substance to sailors. Well, the story blew up on our Facebook page and was soon being tweeted around the Twittersphere. The revelations have been drawing criticism from old salts. “You have got to be sh****** me!” one Facebook commenter said. 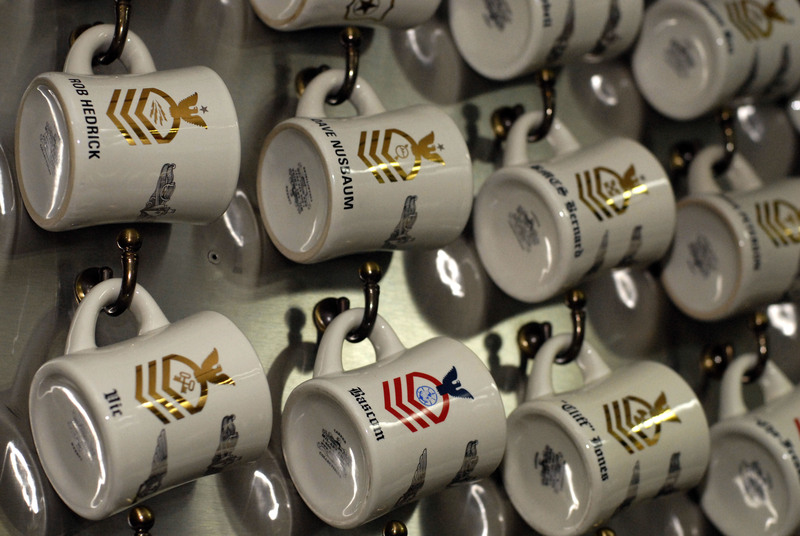 Sure, it’s easy to poke fun at the idea of a fancy-pants latte available on a United States capital warship. But should we really begrudge our sailors a pumpkin spice latte while they are underway for months at a time? Soldiers are chowing down on Whoppers in Iraq and Afghanistan. The Brits offer their sailors alcohol underway, for crying out loud. What happened to the old days of Stale Joe and Bug Juice. Sailors today have all the perks us old salts couldn’t possibly dream of. Personally I think Starbucks coffee is overrated. I’ve drank it a few times and it isn’t worth the money they charge for it. Given the choice between Starbucks and a cup off the Mess decks I’d take the Mess Decks coffee. Now if you want to train the SH’s how to make Whoppers I’d be all for that ! My first TAD I was sent over to the galley at NAS Cecil Field. Right away I picked up on all the MSC’s holding insulated pitchers filled with lifer juice. They told me straight away “go make the coffee” luckily I’d been given ojt on the proper way to make a pot. First MSC walks over and loads his pitcher, takes a sip. His eyes popped out & his hair stood on end. He called over another kahki with the same result.Pretty soon they were all gatherd around the coffee machine. This one MSC hollerd out all angry “Who made this”. I owned up to it and had the most skate TAD any sailor has ever had. P.S. SCREW Starbucks tea!